The Global Competitiveness Report 2016-2017 published by the World Economic Forum in September 2016 ranked Ireland as the 24th most competitive economy out of 138. This was an improvement of 1 place on our position in 2015-16 and our best performance since 2002. Ireland lies 11th in the EU behind the leading EU country Netherlands (4th) and also behind the UK (7th). Competitiveness is defined as the set of institutions, policies, and factors that determine the level of productivity of a country. Competitiveness is assessed by including a weighted average of 12 different components, each measuring a different aspect of competitiveness. Among the areas that could lead to an improvement in Ireland’s position are improving the quality of overall infrastructure 38th, reducing Government debt 123rd, increasing internet access in schools 36th, reducing the effect of tax on work incentives 85th, increasing the soundness of banks 111th, improving access to loans 91st and strengthening audit and reporting standards 54th. 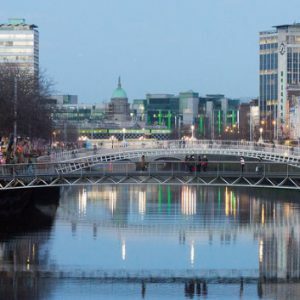 The Report shows that Ireland has strong foundations for its long-run competitiveness including the functioning of its goods and labour markets, ranked 5th and 12th respectively, its business culture is sophisticated and innovative (ranked 16th and 19th). In addition, the quality of the primary education system (7th) and strong higher education and training (13th) are important strengths.